When visitors come to the Pocono Mountains, they love admiring our beautiful scenery. In any season, there are so many ways to enjoy the trails, the woods, the rivers, and so much more. One place that so many locals and visitors love to come to in the Pocono Mountains is Lake Wallenpaupack PA. This lake is over 5,000 acres of fun to explore. We at Ledges Hotel love going to Lake Wallenpaupack PA as well as recommend it to our visitors. 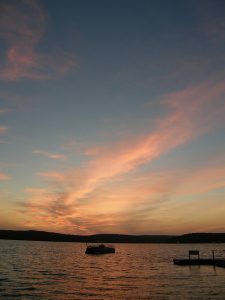 If you aren’t familiar with Lake Wallenpaupack PA, you may not know about all of the amazing things you can do while you are there. 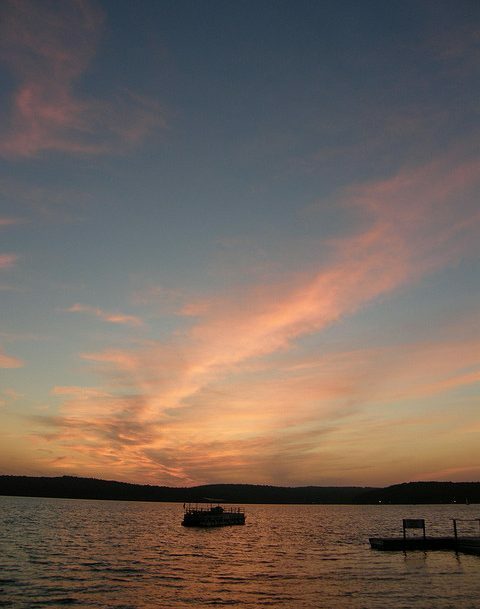 Here are just a few ideas of how to enjoy a day, or more, at Lake Wallenpaupack PA. The first thing to do would be to explore the trails. 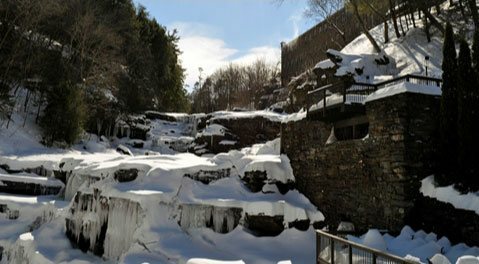 There are many that are near Lake Wallenpaupack PA that criss cross all around the surrounding woods and can take you to other great attractions. There is one amazing trail that goes along the lake and offers you amazing views of it. If you take Route 507 to Lake Wallenpaupack PA and from the parking lot is where you will find the trailhead for this 3 mile trail. As you walk you will pass by the PPL dike and the Lake Wallenpaupack Visitors Center, which is a great place to stop in and learn about more activities to do in Lake Wallenpaupack PA. You will keep going about a mile and a half and then you can either turn around or you can keep going along the Wallenpaupack Creek Trail which will show you many more amazing things. One other way that many visitors love to enjoy Lake Wallenpaupack PA is by boat. There are companies that can offer you tours of the lake but some like to tour on their own. There is one great company that you can rent boats from, Rubber Duckie Boat Rentals. They have everything that you could want to enjoy a day on the lake. They have all sorts of boats for you to choose from ranging from ski and pleasure boats to canoes. You can also rent jet skis as well as water sport equipment. If you enjoy staying on land and love a thrill then be sure to bring your rod and bait for some fishing on Lake Wallenpaupack PA. There is plenty of shore for you to fish from as well as many boat accesses that visitors and locals love to congregate at and fish. There are many types of fish found in the lake but the most common are, small and largemouth bass, walleye, muskellunge, pickerel, yellow perch, trout, and striped bass. Before you put you line in the water, be sure to get a fishing license first. The best way to end a day at Lake Wallenpaupack PA is by dining at one of their fantastic restaurants. One in particular is known for their great food and spectacular views of the lake, Ehrhardt’s. 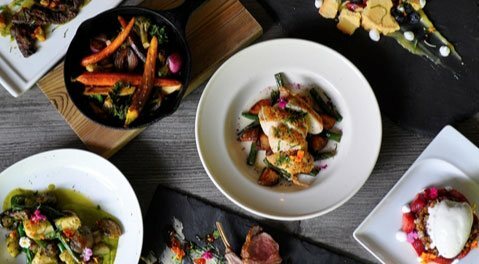 Their menu offers savory classic dishes that please any palate including steak, many seafood options, salads, soups, and much more. After spending an exciting day at Lake Wallenpaupack PA, you will definitely need a great place to rest. Most visitors who spend some time at Lake Wallenpaupack PA, love spending their nights with us at Ledges Hotel. Our modern and luxurious hotel is located close to Lake Wallenpaupack PA in Hawley. Our views of the gorge are breathtaking and are enjoying a glass of wine on our decks is a great way to spend your evening after a fun day on the lake. We also have many different types of rooms available to accommodate any size group. 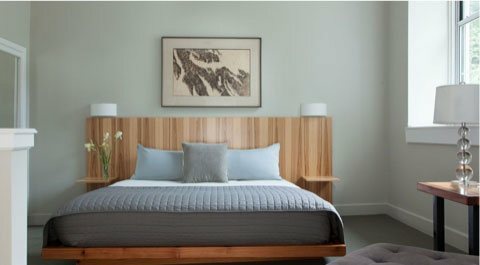 One thing you will find in every room is comfort. It is in our Comphy sheets and cozy blankets to our rain shower and luxurious tubs. Ready to plan a trip to Lake Wallenpaupack PA? Contact our amazing team today and let us help you plan a great trip.